So, you’ve decided (or deciding) that college is the right path for you. Congratulations, that’s not an easy decision to make. But have you thought about what’s it’s going to be like – the day to day? Whether you are already on campus or an incoming freshman, your location can make or break a study session. You might already be excited for the “college experience”: independent living, making new friends, maybe partying or exploring the big city. And college can include of a lot of that – it’s what you make of it! But at the end of the day, you come to college to learn. Maybe not as exciting as the fun stuff, but you still have a lot to look forward to. But on the other hand, you might be a little nervous. Beyond all the new situations and people, a common concern is academic success. I’m sure people have told you it’s completely different from high school – and it is, but in a good way. As someone who’s spent more than their fair share of time studying, I can tell you that college classes are a lot more challenging, but also interesting. The subjects directly relate to your future career, and you’ll spend a lot of your time working on projects you’re passionate about. Professors treat you like an adult and really want you to succeed – they will make the time and effort if you meet them halfway. Beyond that, your tuition dollars go a long way towards giving you resources. For example, our new academic building and recently renovated library have comfortable furniture, whiteboards, and meeting spaces to reserve. Our other buildings have cozy hideaways to buckle down and quietly work, and the hammocks on our quad are perfect for warm-weather studying. My personal favorite is the math and sciences building, Ira Allen. On any given day, you’ll find me in the sound-proof conference room, third floor perch, or building a whiteboard fort. There are also spaces in our brand-new Center for Engineering, Innovation and Sciences building! In addition, there are several reservable study rooms with conference tables, 70″ display screens and ample power outlets that are perfect for group projects. Regardless of your study style, you’ll find a spot to call your own, and it will help your focus and productivity. The Center for Academic Excellence (CAE) is also particularly useful, at least in my experience. Free individual tutors cover most of your classes, and Teacher’s Assistants help both in class and hold special “Learning Labs” in the evenings. There’s even essay-writing help and schedule planning, so if you reach out, you have a whole network of support. As a former TA and tutor (as well as someone who took advantages of services myself), I can tell you – it’s worth its weight in gold before exams or tricky concepts. College might seem far away, but it’ll be here before you know it! And remember you won’t be on your own – you’ll be able to adjust and excel here at WIT in no time! P.S. 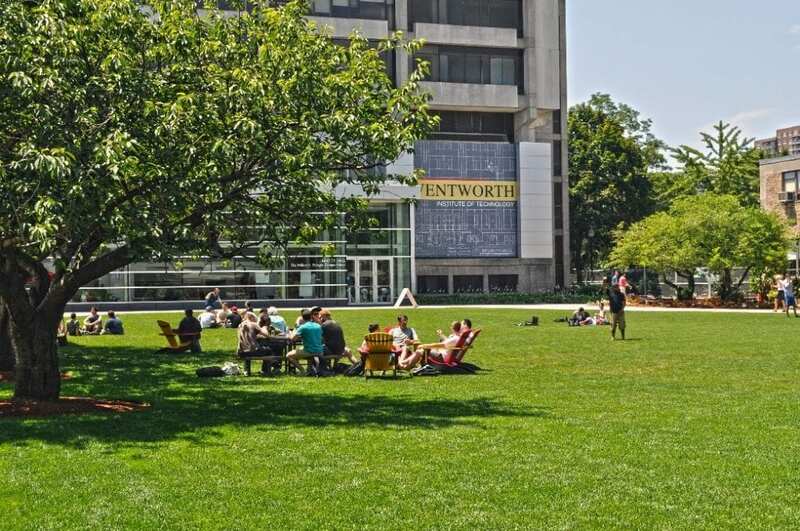 – the quad is of the best spots to hang out or study – if the New England weather cooperates!